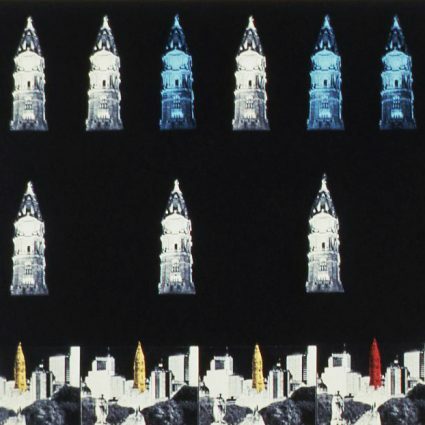 The Fairmount Park Art Association (now the Association for Public Art) launched Light Up Philadelphia, a study of the potential for creative urban lighting, in 1987. 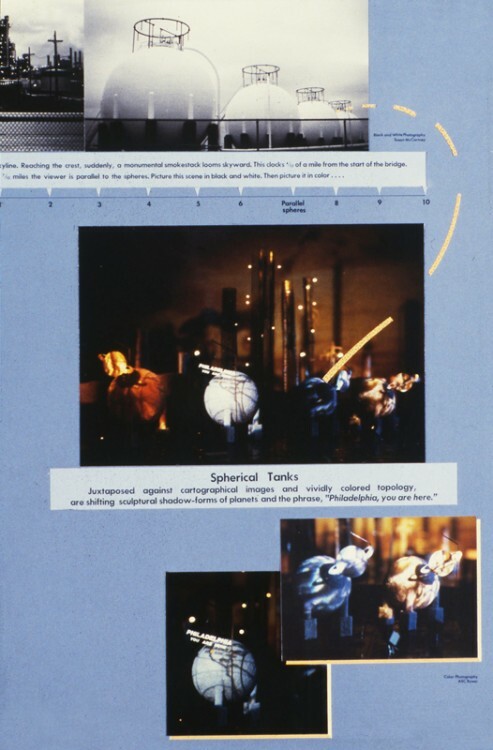 Inspired by the spirit of Laszlo Moholy-Nagy, who declared, “Great technical problems will be solved when the intuition of the artists will direct the research of engineers and technicians,” the study investigated the history and future of creative lighting in Philadelphia and sought to integrate artists’ work into urban planning initiatives. 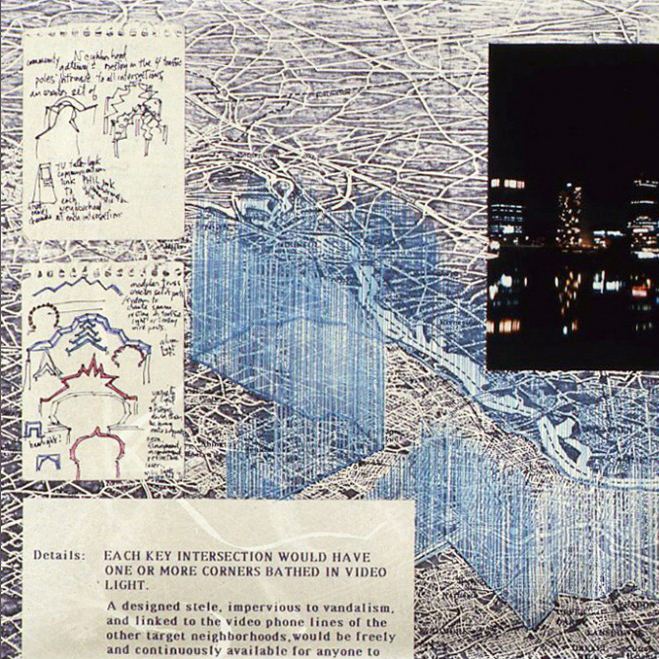 It examined how lighting and new technology can improve a city’s “livability” and suggested new visions for the use of public art to create and enhance public space. 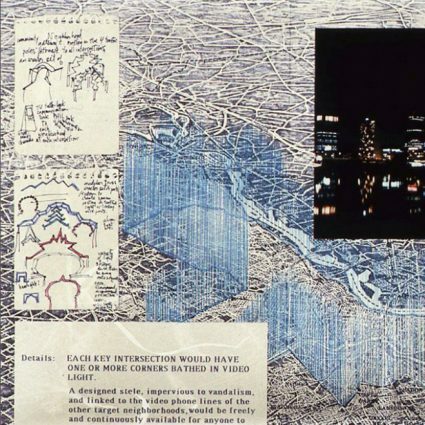 Five artists – David Ireland, Phillips Simkin, Leni Schwendinger, Mierle Ukeles, and Krzysztof Wodiczko – studied the prospects for lighting around the city. Proposals suggested creative means to increase residents’ and tourists’ sense of security; encourage mobility and enjoyment of the city’s resources after dark; emphasize sculptural and architectural treasures; and increase local pride in neighborhoods and commercial districts. 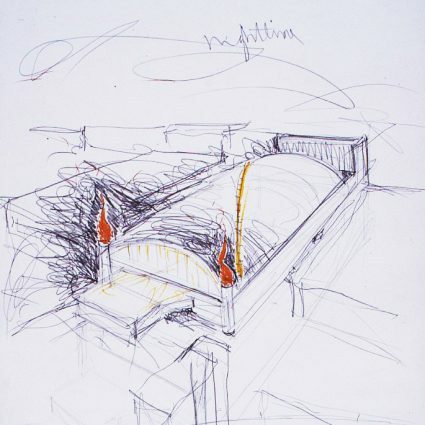 David Ireland’s inquiry considered the elemental forms of daylight and firelight and proposed “friendly fires” that would use gaslight to outline the crowns of public buildings, to declare entranceways to commercial buildings, and to create communal gathering places in vacant lots. 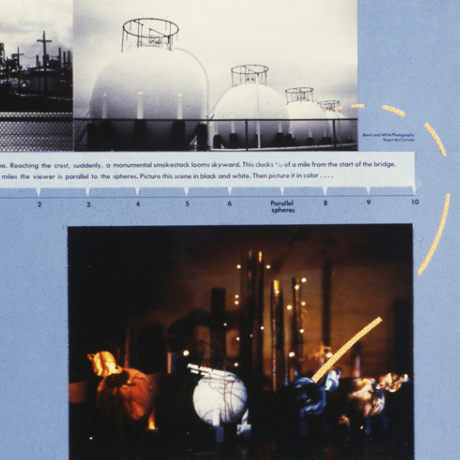 Leni Schwendinger’s Equate Time with Distance focused on a three-mile refinery site that served as a dismal gateway from the Philadelphia International Airport to Center City. The proposal suggested a sequence of events that would evoke historical and geological time, energy, and travel for the “vehicular viewer” driving past the refinery. 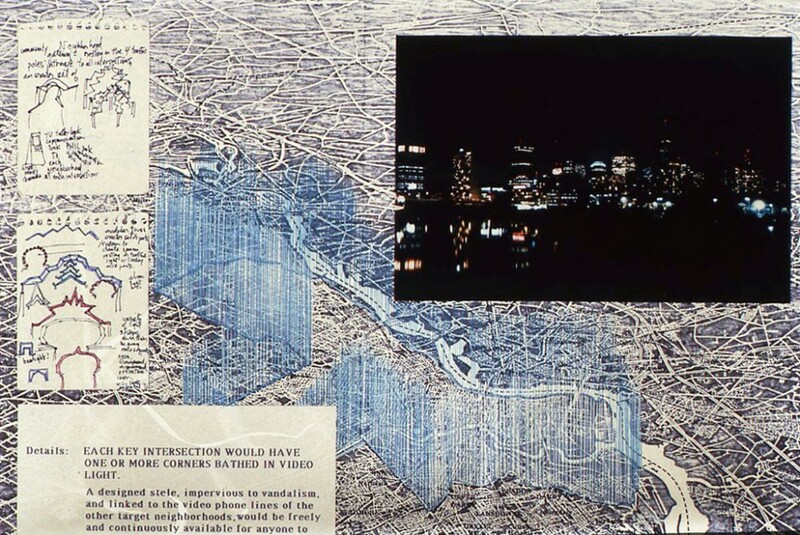 Philadelphia native Phillips Simkin proposed PHILADA, a broad range of related lighting systems, including new urban structures, interactive community gateways, and lighting around the city’s boundaries and landmarks, that would inform both the traveler at great distance and the resident within a given neighborhood. 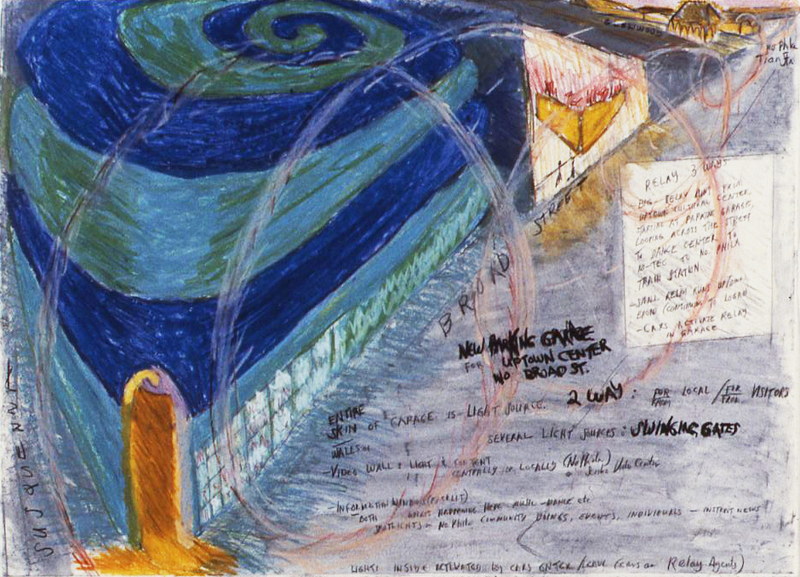 Mierle Ukeles proposed a “light energy-exchange system for a city in search of itself,” a vision of light that would originate at the democratic “navel” of Philadelphia’s City Hall and pulse throughout the city to a network of nine significant sites that symbolize “redemption, revivification and reconnection” to nature. 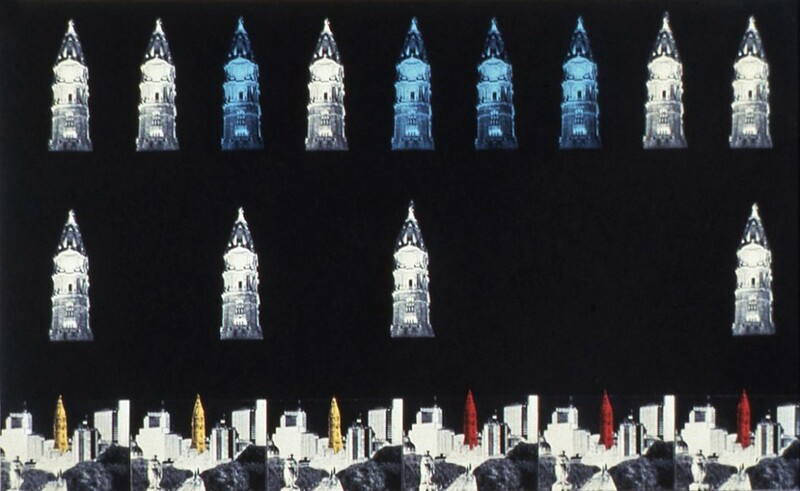 Krzysztof Wodiczko proposed an illumination of the City Hall tower that would transform the historic structure into a symbolic communications system with contemporary meaning. A series of pulsating light codes would inform residents of different events occurring within the city. 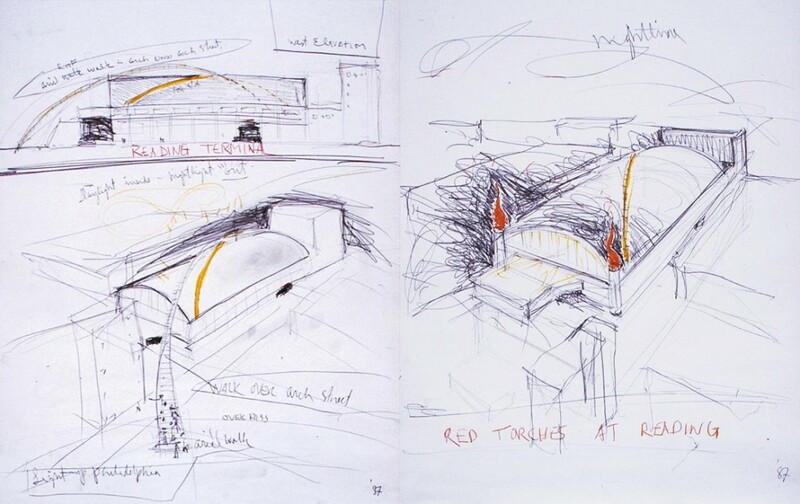 David Ireland's proposal for Reading Terminal. Photo Wayne Cozzolino © 1987. 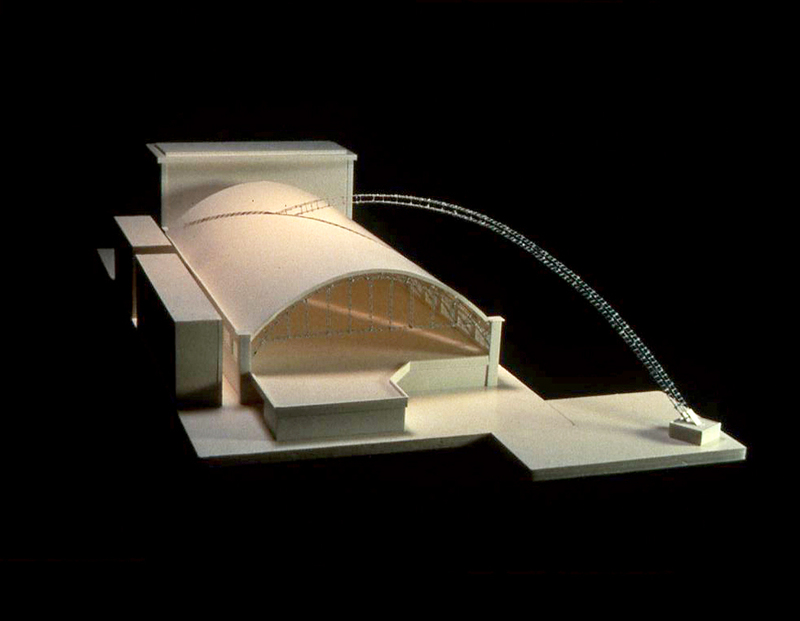 David Ireland's proposal: Maquette for Reading Terminal trainshed, skywalk and sundial. Photo Wayne Cozzolino © 1987. 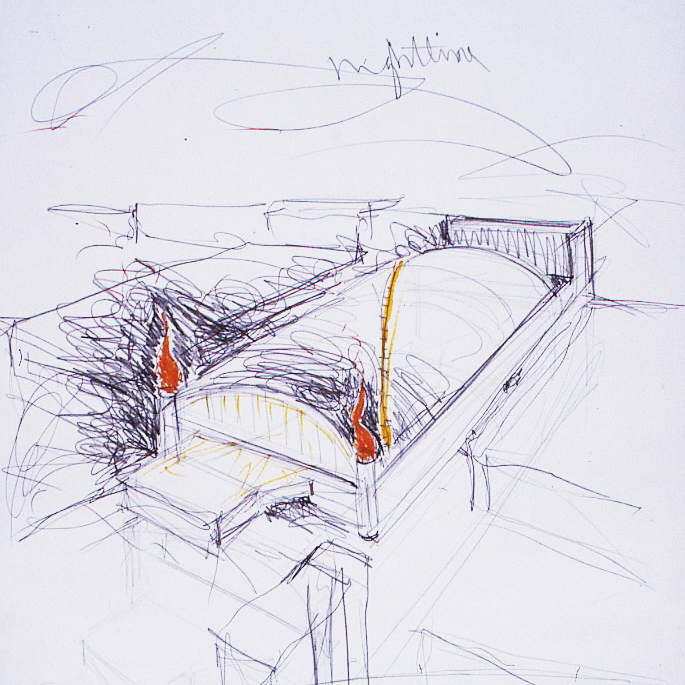 Leni Schwendinger's proposal: Equate Time With Distance. Photo Wayne Cozzolino © 1987. Detail of Phillips Simkin's proposal: PHILADA: Lighter Than Air, Philada (Neighborhood Gateways and Video Screens), Lightly Does It, To Light Upon (1987). Photo Wayne Cozzolino © 1987. 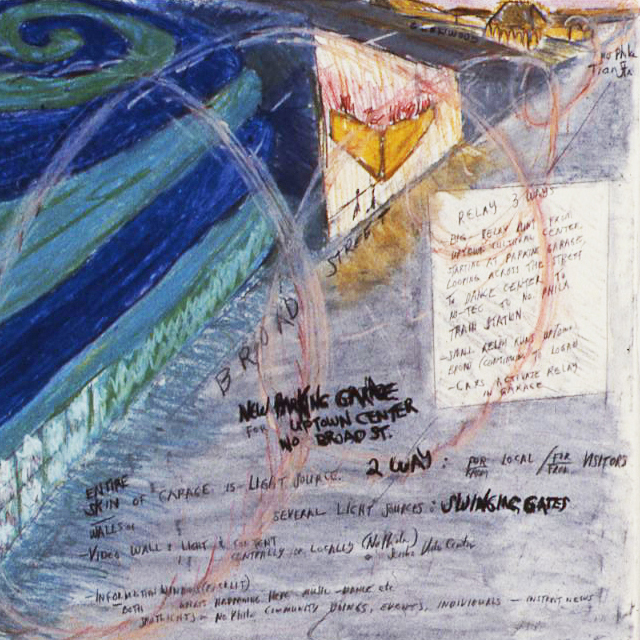 Mierle Ukeles' proposal for Light Up Philadelphia: New Parking Garage for Uptown Center, North Broad Street. Photo Wayne Cozzolino © 1987. Krzysztof Wodiczko's proposal for the illumination of City Hall tower. Photo Rick Echelmeyer © 1987.